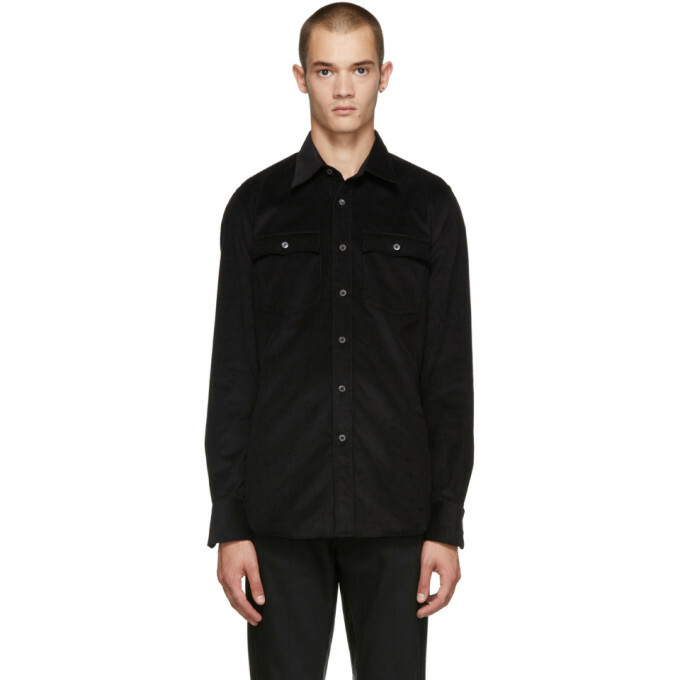 Slim-fit long sleeve cotton corduroy shirt in black. Button-down spread collar. Button closure at front. Flap pockets at chest. Pinch seams at back. Two-button barrel cuffs. Shirttail hem. Tonal stitching.